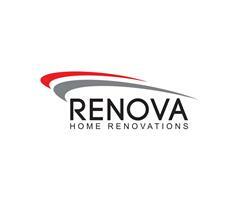 Renova Home Renovations - Bathrooms, Kitchens, Tiler - Tiling based in Edinburgh, Midlothian. Remove provide home renovations and refurbishment in Edinburgh and across Lothian,we provide highly trained craftsman on all projects ,large or small. We pride ourselves on completing projects With a perfect finish and guarantee all renovations are carried out with the minimum of distruption to our customers home.Our work will always be carried out in a safe and timely manner at all times. Renova's team of tradesman-joinery,tiling,decorating,plastering,plumbing,all have extensive experience in their field and I have personally overseen all training to ensure our costumers are provided with the maximum quality and service. My team are dedicated to providing a courteous service at all times.